As of late, Canada has seen a fresh surge of illegal migrant arrivals, most of them from Africa, escaping the US in fear of being sent back and crossing into the northernmost American country. 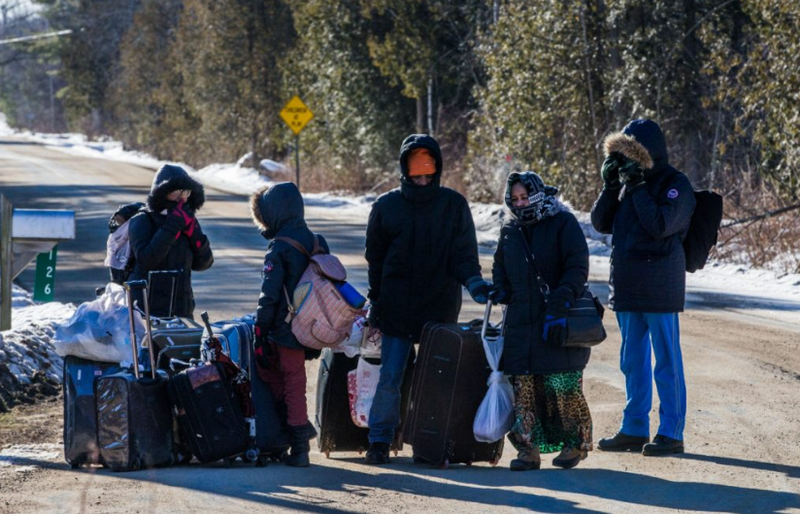 According to the latest available Canadian police data, some 2,600 people crossed the border illegally in April alone, leaving some to fear that this early start to the summer migration will mean that 2018 will easily surpass the 8,500 asylum seekers that arrived in the warmer months of 2017. Canada has mostly been able to pick which migrants it wanted to allow in its territory as Europe received the migrants from Africa and the Middle East and the US got illegals from Mexico and Central America. If the Canadian government then wanted to ‘help’, it chose which migrants it thought it could best use. But in recent years this has changed, certainly, since the election of Donald Trump as President of the US, many illegals in its southern neighbor are afraid of being sent back and cross into Canada in ever greater numbers. Conservative politicians all across Canada are at the same time warning against the surge. They are welcoming the changing political landscape they face as more and more rural Canadians see their cities change, and turn away from Prime Minister Trudeau’s welcoming policy, which they fear will use up the monies put aside for migration faster than foreseen, leaving them to foot the bill. This is a difficult situation for a country that is welcoming and nurturing and compassionate. The problem, however, is so many people within Canada already are already homeless and suffering. The problem, dear Dawn, is that there is always a country better than the one where you are. If you are in Western Europe, the average salary and benefits in Switzerland are also higher. It's not because of those statistics that everyone needs to go to another country. Fix your own mess. To all those saying that we should help the 1 billion Muslims, please show me a democratic country where Islam works. Just name one….. I dare you. Immigration = good as it leads to assimilation and most become great productive citizens. Refugee resettlement = no good as it leads to non assimilation and forced acceptance by real citizens to their way of life that lead to them seeking asylum in the 1st place. Refugees are way more prone to criminal acts and draining our entitlement services whereas Immigrants usually can support themselves and fit into our culture much better.